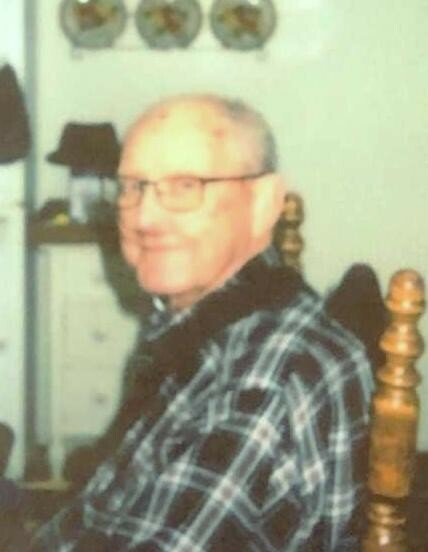 J. Franklin “Frankie” Russell, 82, of Troy, passed away Friday, February 1, 2019 at his residence. A funeral service will be held 3:00 p.m. Sunday, February 3, 2019 at Long Hill Baptist Church, officiated by Pastor Mark Forrest. Burial will follow in the church cemetery. Visitation will be one hour prior to the service at the church. Born March 30, 1936 in Montgomery County, he was a son of the late James Aaron and Doris Hunsucker Russell. He was a member of Long Hill Baptist Church and a former member of Tabernacle Baptist Church. He delivered automobiles and worked in Customer Relations for Pigford’s. Frankie loved his church, Pigford’s and handing out bubble gum. He is survived by his wife of 60 years, Peggy Beaman Russell; his sons, Richard Russell (Susan) of New London and Barry Russell of Randleman; his daughters, Kim Blake (Clad) and Julie Mauldin (Anthony) both of Troy; brothers and sisters, Elgie Garner of Robbins, Rayvon Russell (Faye), Jane Thomas (Hal) and Larry Russell (Carolyn) all of Troy; nine grandchildren and eight great grandchildren. He is preceded in death by one great granddaughter, Karsyn Jernigan; brothers and sisters, Cleo Russell, Reginald Russell, Arlene Nooe and Brenda Blake. For those desiring, memorials may be made to Long Hill Christian School, 637 Capelsie Road, Troy, NC, 27371.